* Noiseless modular set of building blocks with no sharp corners, splinters, or peeling-cracking finish. 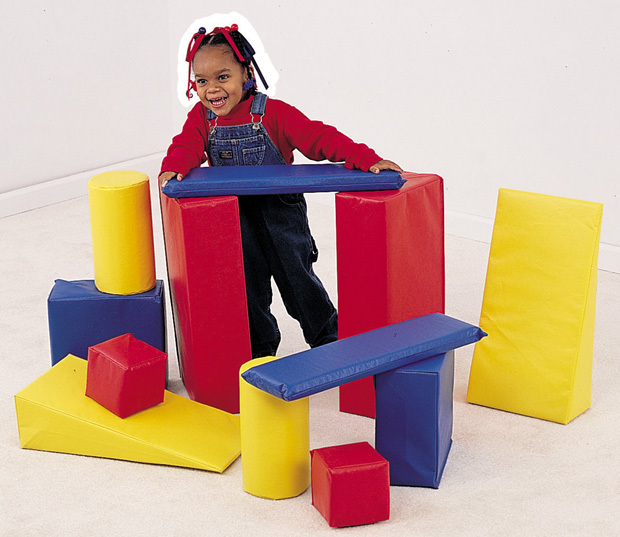 * Primary color vinyl covered foam shapes eliminate ouches, boom booms, and class distracting crashes. * Featherlight capable of large structure building. 30" x 23.5" x 11.5"